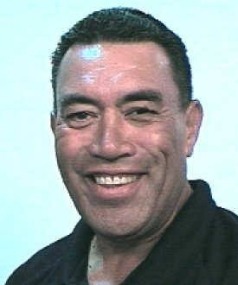 Dawson Tamatea was a PE and mathematics teacher at Palmerston North Boys’ High School in New Zealand. One of the most beloved teachers at the PNBHS, Mr. Tamatea died unexpectedly at age 55, passing away while sleeping. Mr. Tamatea had been teaching at physical education and mathematics at the school for for almost 30 years. In his honor, the entire student body of 1,700 turned out to perform a traditional Haka at his funeral. The Haka is a traditional Maori ritual. Originally a war dance to intimidate an enemy, it has become popular before sporting events. When a Haka is done at a funeral for the deceased, it is a sign of the highest respect. Just how big a hole can be seen by the power and emotion the 1,700 strong student body puts into the Haka for Mr. Tamatea. Requiescat in pace, Mr. Tamatea. This entry was posted in Breaking News, Countries, Education, Memorial, New Zealand and tagged Dawson Tamatea, Haka, Palmerston North Boys' High School. Bookmark the permalink. I’ve always admired a Viking funeral, but the Maori do it up right too. Funeral ceremonies vary widely across cultures. I agree that the Vikings and Maori have some of the most powerful, and interesting, ceremonies. Brandi didn’t want a funeral. She wanted a cèilidh instead. A celebration with music, pictures, storytelling and a wee nip of scotch passed around. She abhorred morbid and somber stuff. One thing she was emphatic about. She wanted the piper to play The Pumpkin’s Fancy. Hardly what one thinks of when thinking memorials and funerals. But then, she was her own person.